When it comes to video card buzz we have been hearing lots of praise about the EVGA GeForce GTX 760 2GB Superclocked with ACX cooling video card. This factory overclocked card is available for $259.93 shipped and is said to deliver performance numbers close NVIDIA GeForce GTX 680. The NVIDIA GeForce GTX 680 came out in March 2012 and initially cost $499, so to get close to that performance level is impressive at half the price. What makes this card really exciting is that if you want to overclock it even farther, it should be able to easily beat a GeForce GTX 680 video card! 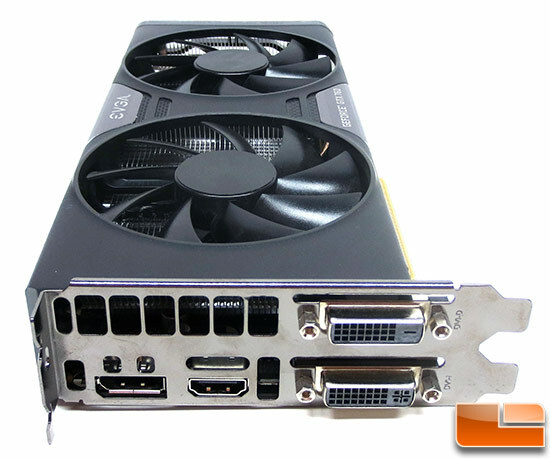 The EVGA GeForce GTX 760 2GB Superclocked is not your average NVIDIA GeForce GTX 760 video card. It features higher clock speeds and a greatly improved cooling solution. Not bad, considering it retails for only $10 more than the base model! 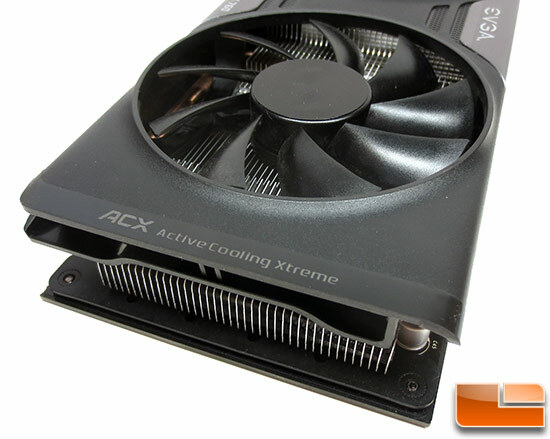 EVGA recently released a new GPU cooler called Active Cooling Extreme or ACX for short. This dual-fan cooler performs great from our past experience with it on the EVGA GeForce GTX 780 Superclocked, so we have high hopes for this smaller version. 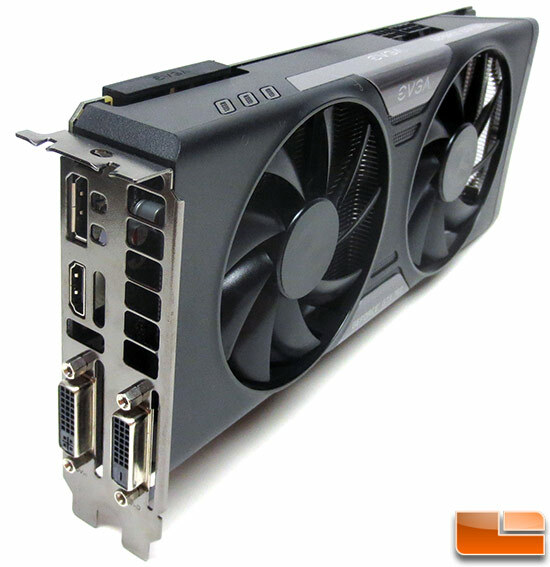 The EVGA GeForce GTX 760 2GB Superclocked edition comes set to 1072 MHz on the 1152 CUDA cores (Reference is 980MHz) with a Boost clock of 1137 MHz (Reference is 1033MHz). EVGA left the GDDR5 memory clock speeds alone, so it runs at 1502MHz or 6008MHz effective. With these higher core clock speeds the EVGA GeForce GTX 760 SC is now faster than the EVGA GeForce GTX 660 Ti based on the reference design as the texture filtering rate is now 102.9 GT/s. The NVIDIA GeForce GTX 660 Ti and NVIDIA GeForce GTX 760 as you can see in the table above. Ultimate GPU Cooling – 15% average lower GPU and Memory temperatures give you the low temperatures needed for extreme overclocks, and with GPU Boost 2.0, it ensures your card maintains the maximum boost clock possible. 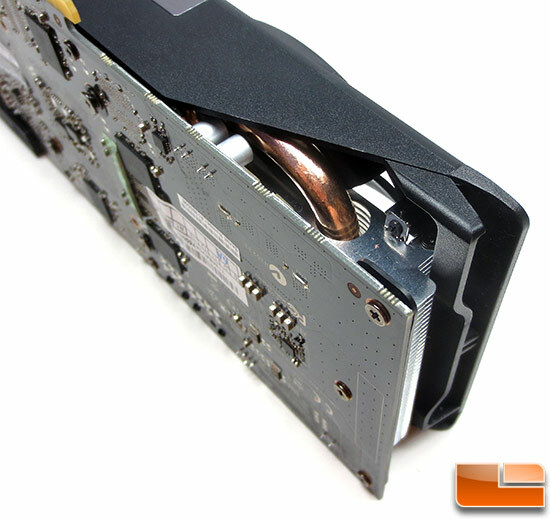 No Compromise Heatsink Design – An increase of 40% in heatsink fin volume distributes heat evenly and efficiently. Low Noise Levels – The dual fan design dramatically increases airflow, meaning the fans only need tos pin at a much lower RPM, reducing noise levels significantly. In fact, it is 15% quieter on average! Double Ball Bearing Design – The EVGA ACX cooler features a double ball bearing design, meaning the fans have an average lifespan of 12 Years! This is 4X longer than the competitors sleeve bearing fans. Superior Blade Design – EVGA even went as far as crafting each individual fan blade with the utmost in quality. The fan blades on the EVGA ACX cooler are 700% stronger and weigh 25% less than competitor’s versions. This makes the fans 20% more efficient by requiring lower power levels. Dual Slot Design – No need to worry about bulky heatsink designs that cover unnecessary PCI-E lanes, the EVGA ACX cooler is a dual slot design, the optimal size for all forms of NVIDIA SLI. Dual Cooling Subsystems – Minimizing air turbulence between fans, this makes sure the airflow is distributed evenly, and reduces noise level. Reinforcement Baseplate – This helps to maintain a straight PCB, and helps lower mosfet temperatures by 7% and memory temperatures by 15%. The EVGA GeForce GTX 760 2GB Superclocked w/ ACX Cooling that we’ll be looking at today is sold under part number 02G-P4-2765-KR. Since this is a -KR model it means that it comes backed by a 3-year warranty. The card looks great with a triple black color scheme, so you have a black PCB, fan shroud and fans. The aluminum heatsink and silver accents on the fan shroud give the card just enough color to pop. EVGA wen’t with a fully custom Printed Circuit Board (PCB) and is NOT using the NVIDIA reference design. 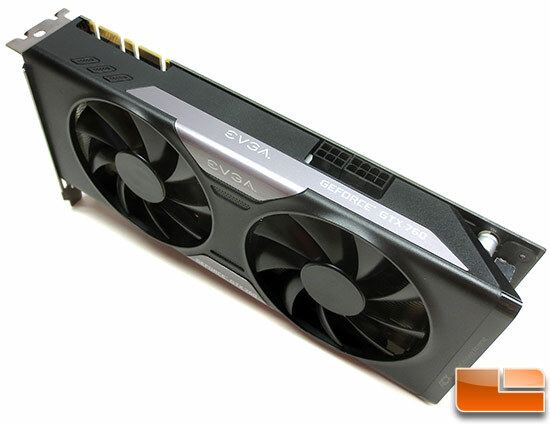 The EVGA GeForce GTX 760 2GB SC measures 9.5-inches in length or right around 241mm. EVGA is using SK hynix GDDR5 IC’s that are marked H5GQ2H24AFR-R0C. 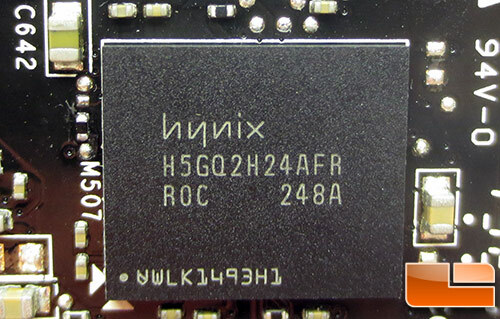 According to the SK hynix website these specific IC’s are rated to run at 6.0Gbps (0.3ns) at 1.5V. These are the same exact memory chips that we saw on the NVIDIA GeForce GTX 760 reference card, so no big shocker here. The EVGA GeForce GTX 760 2GB SC has both 8-pin and 6-pin PCIe power connectors that are needed to supply enough power to the 170W TDP card. There are also a pair of SLI connectors for NVIDIA SLI support. The new ACX cooler from EVGA is said to redefine traditional enthusiast coolers. This cooler has a 40% increase in heatsink volume and is more efficient at dissipating heat, allowing for 15% lower GPU temperatures versus the stock cooler. It also uses dual ball bearings versus the sleeve bearings that most competitors use. Sleeve bearings are often found on cheaper low quality fans. Ball Bearings fans add a bit to the overall build cost, but have a 4X longer lifespan, and are more efficient, using less voltage to spin the fan. The ACX cooler on this card features three u-shaped 8mm copper heatpipes that feature a natural copper finish. They are fairly hidden, but you can make them out when looking at the bottom of the card. Display outputs include two dual-link DVIs, one HDMI and one DisplayPort 1.2 connector. This video card easily supports 4K resolution monitors and supports up to four monitors concurrently. This is great for those wanting to run NVIDIA Surround or NVIDIA 3D Vision Surround technology. Notice that the EVGA GeForce GTX 760 2GB SC also features a high-flow exhaust bracket for better airflow and reduced noise. Let’s move along and take a look at the retail box and jump into performance testing.